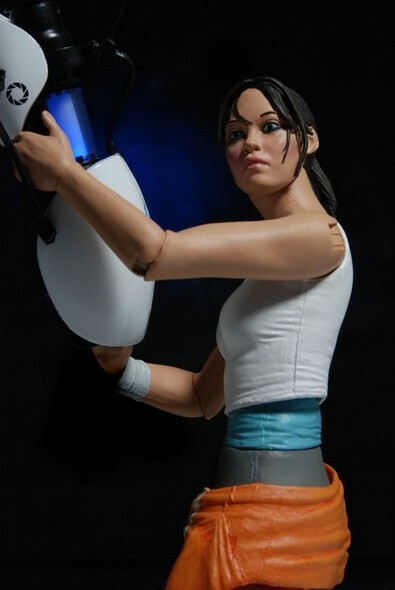 Closer Look: Limited Edition Portal 2 Chell Action Figure! 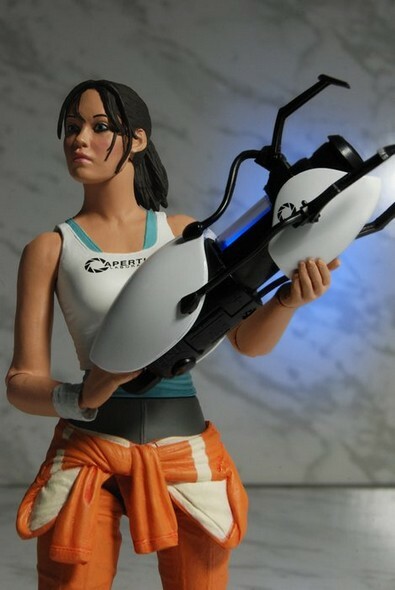 You are here: NECAOnline.com » Blog » News And Announcements » Closer Look: Limited Edition Portal 2 Chell Action Figure! The first-ever Chell figure is almost here! The long-awaited moment has come… Portal 2’s Limited Edition Chell Action Figure is shipping to stores next week! That means you’ll start seeing them on shelves by the end of the month – and judging by how quickly we sold out of our stock, you might want to plan on snagging one sooner rather than later. To give her problem-solving skills a pre-shipping dry run, we took Chell to a nearby testing chamber. Here are the resulting action shots: you be the judge! Limited to 15,000 units worldwide! This 7″ scale Chell action figure is dressed in her orange Aperture Laboratories jumpsuit, and features over 20 points of articulation. Her ASHPD accessory actually lights up and glows blue, just like in the game (and in our full-size ASHPD replica). Also includes a display base. 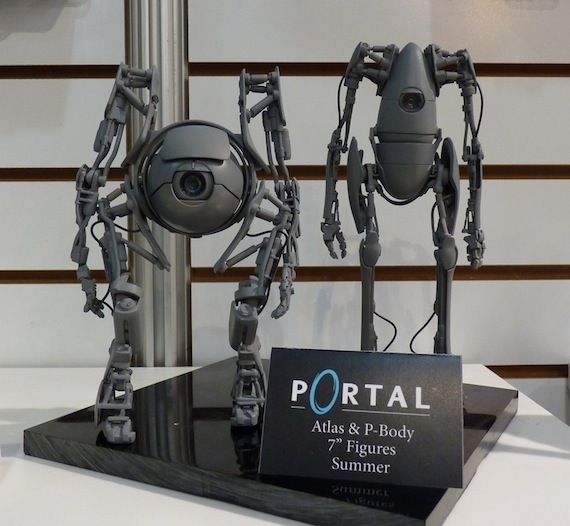 Atlas and P-Body are expected to ship this summer. There’s more Portal 2 and Valve news in the wings, so stay tuned!